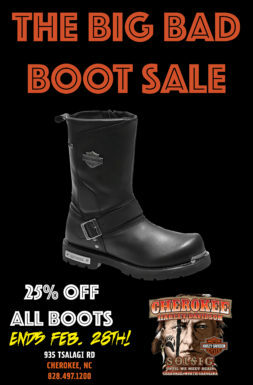 Cherokee Harley-Davidson® is an authorized Genuine merchandise dealer for the Harley-Davidson® Motor Company. We sell licensed Harley-Davidson® t-shirts, jackets, rain gear, gloves, helmets, novelties such as shot glasses, and home decor! 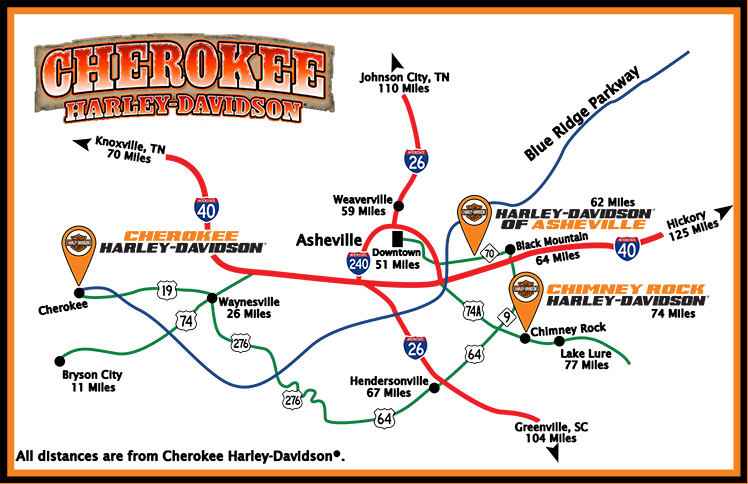 Harley-Davidson of Asheville for parts, service and motorcycle sales.